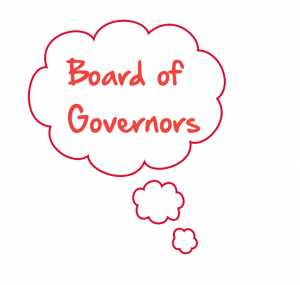 Meet the governing body, learn about each Governor, and find out more about what our Board of Governors does. The governing body of Brookland Church of England Primary School reconstituted on 9 July 2015 in line with the School Governance (Constitution) (England) Regulations 2012. Ten governors are appointed to sit on the school’s governing body. They are responsible for setting the strategic direction of the school, ensuring financial health, probity and value for money, and holding the Headteacher to account for the educational performance of the school. The governing body review their structure, terms of reference and standing orders on an annual basis, and have adopted the ‘2 teams’ model of governance. This requires the Learning & Development Committee, and Resources Committee to carry out regular monitoring, and report back to the full governing body. Re-elected by parents for a 4 year term in January 2018, and currently holds one of the 2 parent governor posts. Emily was re-elected as Chair of Governors at the full governing body meeting held on 27 September 2018; she is also a member of the Strategy, Learning & Development, and Resources Teams. Emily has a wealth of experience in education and, alongside her partner, is joint director of an educational publishing company. Re-Elected by parents for a 4-year term in February 2018, Tara holds one of the 2 parent governor posts. Tara was re-elected as Vice Chair of Governors at the full governing body meeting held on 27 September 2018; she is also a member of both the Strategy and Learning & Development Teams. Tara’s professional background is in education and she is currently Vice Principal of a Kent High School. Holds one of the 2 foundation governor posts, appointed by the Canterbury Diocesan Board of Education in April 2005. Reverend Body is a member of the Resources Team. Vivienne was reappointed by the Local Authority to the Authority governor post, for a 4-year term, in December 2016. Vivienne is a long-serving member of the governing body, having previously held the post of Chair and has a vast array of experience across the teams. Vivienne is currently a member of the Resources Team, and was appointed joint governor for ‘Safeguarding’, and ‘Training & Development’ governor at the full governing body on 27 September 2018. Victoria Wardrope was appointed by the govering body to one of the 3 co-opted governor posts at their meeting on 17 September 2015. Vicki’s appointment is for a 4-year term, and she is a member of the Learning and Development Team. Victoria has been appointed as the governor with responsibility for ‘Special Educational Needs and Disabilities’. Elected by staff to take up the staff governor post for a 4-year term in January 2019. Sarah teaches across the school at Brookland and is a member of the Learning & Development Team. Stephen was originally appointed by the Governing body to a ‘community’ governor post, and has since moved to an associate governor post. Stephen is a member of the Resources Team. He also works at the school as Site Manager and IT Support. When not working at the school, Stephen is an 11+, Maths and Physics tutor, and owns an educational website. Headteacher at Brookland, has held the remaining (staff) governor post since taking up his position in January 2011. Martin sits on all the teams, and will retain his governor post whilst employed at the school as Headteacher. Lauren was appointed by the governing body to be one of the 3 co-opted governor posts at their meeting on the 10 December 2018. Lauren’s appointment is for a 4-year term, and she is a member of the Learning and Development Team. Peter was appointed to fill the remaining co-opted governor post at the full governing body meeting on the 10 December 2018. Peter’s appointment is for a 4-year term, and he will join the Resources Team. Team Chairs are elected at the first Team meeting of the academic year.